Yes, yes, I know. You Americans have had the Wii U for almost two weeks now. Well, those of us in the United Kingdom must wait until Friday, November 30. For some, however, the wait is already up. 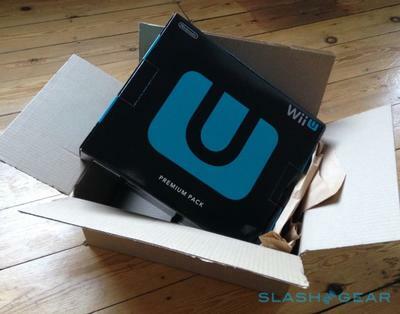 Those who ordered their Wii U from Amazon are having them delivered to their doors today. The retailer notified some customers on Wednesday that their orders had been dispatched for a November 29 delivery. Many were skeptical they’d actually arrive early, however. But sure enough, their consoles are turning up today. One lucky owner sent a picture of theirs (above) to SlashGear. The Wii U has received plenty of criticism since it was announced — and indeed since it has made its debut due to bricking issues — but it’s been selling incredibly well. Nintendo has been struggling to keep up with the demand of the device in the United States, where more than 400,000 units were sold during the first week. The console is sure to be a big hit this Christmas, then. Have you got yours yet?